The Piusi BP3000 Diesel Pump Battery Kit is a ready to use, portable refuelling pump solution for diesel dispensing from small tanks, drums and refuel vehicles. This kit is highly useful in construction and agriculture for refuelling tractors, plant machinery and other vehicles. 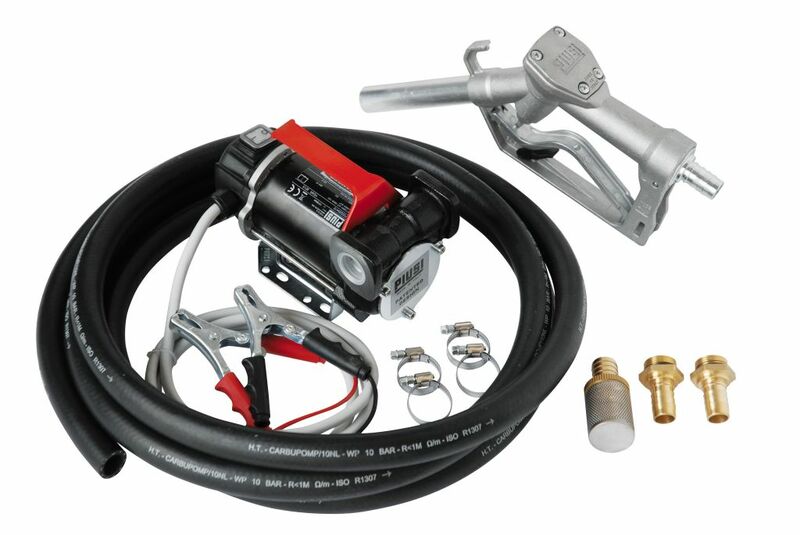 The battery powered Piusi pumps come with cable and clips to ensure an easy connection to the vehicle being refuelled. The kit also comes with a carry handle, manual nozzle, suction/delivery hose and strainer. The Diesel Pump Battery Kit is available as a 24 or 12 volt pump dependant on whether a horizontal or vertical port is required.